The Legacy Circle is a walkway of bricks located at the center of campus, etched with the names of alumni and long term faculty and staff. The walkway will eventually surround the Harvest Prayer sculpture on the campus mall with thousands of personalized bricks. 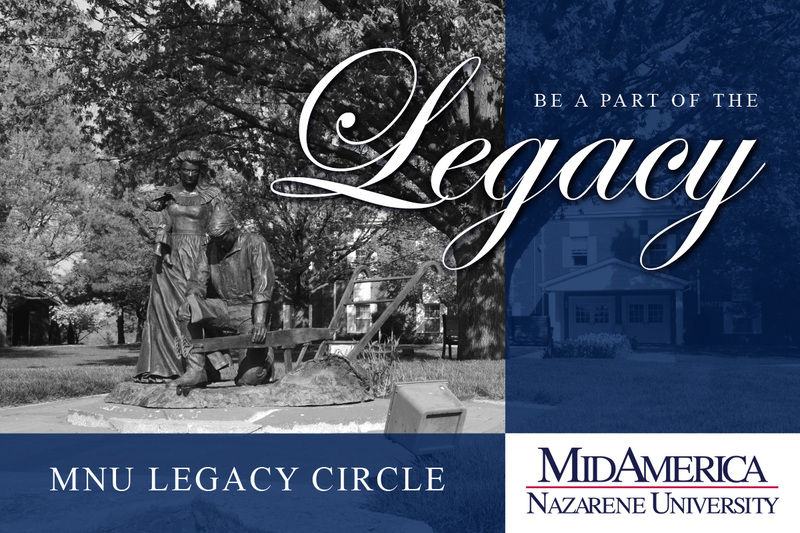 Freshmen begin their MNU journey with a special ceremony at Legacy Circle and culminate their experience upon graduation at this same location. Walking along the brick path, engraved with the names of so many Pioneers who came before them, will be a reminder of the rich heritage these new graduates now possess. Select the number of Legacy bricks you would like to purchase. Enter the text you want to appear on each brick.